Air tool lubricant is designed to increase the drive in air motors, reduce wear, to provide quieter operation in the work place and the vibration transferred to the operator. It will not dry out and air sanders, drills, Impact and Needle Guns run freerer and just keep working. A Chain Bar Oil that actually works. 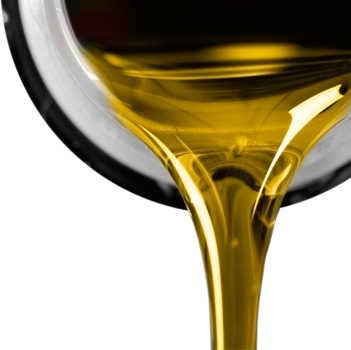 This oil will not throw off, will lubricate the chain and bar, will reduce the amount of oil used and reduce the wear on the chain and bar. For the assembly of all mechanical components ie Motors, Transmissions, Diffs and Hydraulics, etc, to stop the initial wear when parts are re-assembled or new parts fitted. Super Slip is designed to give any oil that extra slipperiness, while at the same time, increasing its film strength. This should enable motors, gear trains and hydraulic components to move more freely using less power, therefore reducing power loss. This will enable that power saving, (3 kilowatts in a gen 3 5.7L V8) to be used driving the vehicles wheels, thus saving fuel. For automatic transmissions and hydraulic systems, add 1% by volume. For all types of engines, add 2%. For manual transmissions and differentials, add 5%. Super Slip is the only additive approved for use with any BIMROSE LUBRICANT. It is the only additive that will not void the warranty expressed by BIMROSE LUBRICANTS. It is very good in locks, rollers and slides. Engine flush-aid is designed to remove sludge & combustion by-products from all diesel engines (NOT PETROL). This is required in Japanese 4×4 and late model American truck motors fitted with an engine management system, which tend to produce more engine pollutants than exhaust pollutants, and are terrible to control. Even large diesels fitted with oil centrifuges are not able to extract the large amount of sludge and soot present, most of which adheres to the interior of the motor and it’s components. In testing, we have found that we are removing up to 20-30% more by volume than sumps are supposed to hold, eg., a 10 litre Land Cruiser yielded nearly 13 litres, before changing to Bimrose. Imagine how this would have contaminated the 10Litres of new oil. Probably if analysed, it would need changing very soon. Reports indicate oil seals must be cleaned up as well as oil leaks are reduced or removed and there is less crankcase pressurising due to the reduction of blow-by. The aim is to keep the compression above the rings and used to drive the piston down, and the oil below the rings, and able to do its real job of lubricating and cooling. It is amazing when customers tell of their engine operating temperature dropping once they change to my oil, because, if the internals and the oil is clean it is able to transfer the heat. This is why you can drive your car etc to Brisbane , and upon arrival if you quickly remove the Dipstick, which will be hot so be careful, wipe of the oil and be shocked to find it is not HOT. If you rub your fingers together you should not be able to feel the fingers, only oil .If it is not my oil this probably will not happen, as the film strength and additive package has failed or is inadequate for the job in hand. Our U.C.L. is excellent for cleaning and lubricating valves, valve stems, guides, injectors, fuel pumps, carburettors, and even piston rings, in petrol, diesel and gas engines. Because modern fuels are ‘DRY’, and contain little or zero lubricant, U.C.L. allows them to function better giving better performance and reduced fuel consumption. By adding 2% U.C.L. to the oil in petrol engines 25 to 30 minutes before draining you will obtain a better drain volume. We are still intrigued by the surprise expressed by new and old customers as the results of using U.C.L. in Petrol, Diesel and Gas Engines. It also stops fuel ‘Going Off’, especially in two strokes and Boats of all sizes. Some larger customers are buying U.C.L. in 200Lt drums simply to make their fuel wet and oily; like it used to be One customer had D150 Komatsu’s which would use a tank full of fuel every 9to 9.5 hours. The second day of using my U.C.L. the dozers did 13.5 hours on one tank full and did that for years until sold. Even with these wonderful figures some people he pulled scrub for would not buy the UCL to get the same results, and then whinged when they would get a call to bring out fuel as they had run out, after only 9 to 9.5 Hours. You just can not convince some people. May be used to reduce oil consumption, noise, wear and temperature in all motors, transmissions, diffs, hydraulics and reduction boxes and is very good mixed 50/50 with our 85w140 in trailer hubs doing highway work. Must be mixed hot, preferably in my depot, before purchase. It is often used to extend the life of worn final drives, etc. Even when parts of teeth are missing and chewing their mating teeth to bits. One customer at Springsure welded the pieces back in their places; ground them back to assume a reasonable profile and we mixed up for him a blend of 50% 85w140 GL5+50% Oil Stabiliser. We do not know if it was the good welding or the oil stab that did the job for years, until sold, with the knowledge of the purchaser. Will lubricate and clean upper cylinder walls, inlet / exhaust valves and guides, fuel injection components and carburettors, keeps rings free boosting power and reducing fuel consumption in petrol and diesel engines. Will stop fuel going off and algae growth in boat or bulk storage tanks. It is often used to deglaze motors or, remove the BUG from Diesel storage Tanks or Fuel Tanks on boats that are not used regularly. Is specifically designed for older model cars as well as a range of late model vehicles requiring Dot 3 over Dot 4 performance brake fluids. Exceeds FMVSS 116, Dot 3 and conforms to the following: Australian Standard AS/NZS 1960-1995 Grade requirements. Should be replaced every twelve months under average driving conditions. Is a general purpose soluble cutting fluid that forms a white milky emulsion when mixed with water. For use in medium ferrous and non-ferrous metal applications. Standard mix ratio: 20 parts water to 1 part soluble cutting oil for light to medium applications. Can be made stronger(less diluted) if necessary.